The longstanding stereotype of the unemployed, unmotivated stoner is dying a rapid death. With everyone coming out of the proverbial stoner closet, cannabis enthusiasts are popping up all over the workforce. Hey, something has to pay for their—at-times—expensive hobby. After all, cannabis doesn’t grow on trees. Okay, maybe it does...but money doesn’t. But what we all really want is a job in the cannabis industry or at least one that doesn't look down on cannabis. 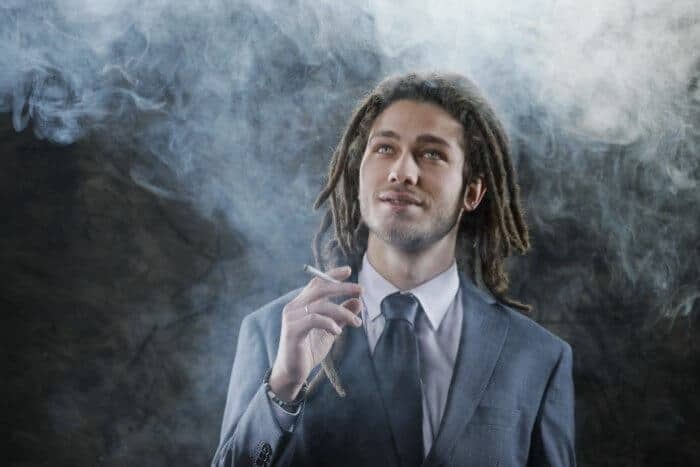 So, here are the best jobs for stoners out there! There’s an old saying—it’s not considered work if you are doing what you love. What kid wouldn’t want to work in a candy store and what kind of stoner wouldn’t want to work in a cannabis dispensary? 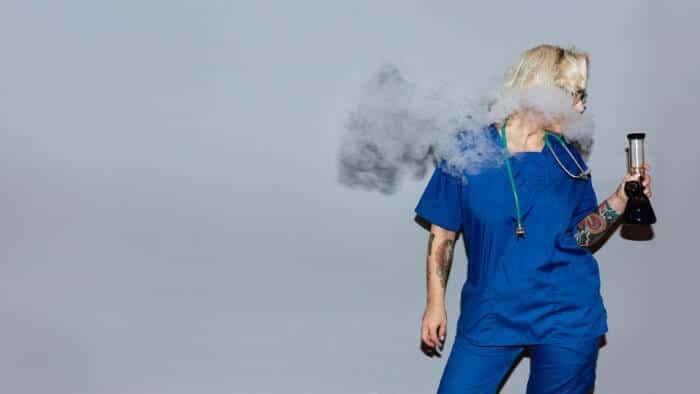 Not only are people who love cannabis highly qualified for the role, but people who work at dispensaries are sometimes are asked to sample products. So, not only do you get paid to sell cannabis, but to smoke it as well! Lastly, many companies give their employees discounts. That goes a long way when you were planning to spend your paycheck on cannabis anyway! Music and cannabis go hand-in-hand. For a low-stress job, where you could probably get away being high at, try working at a music store. Not only will you be surrounded by tunes all day to keep your mind occupied, but music has been proven to improve your quality of life. There’s nothing more rewarding than using your passion for the greater good. With over half of the country legalizing medical marijuana, the need for marijuana doctors is on a steady rise. Therefore, if you are on the trajectory toward becoming a doctor, you might want to look into cannabis as your field of medicine. Each state has their own set of qualifications to adhere to, so be sure to read up on specific rules and regulations. Who doesn’t love the looks of a beautiful new bowl or bong? Now, you can take your love for glass and put your artistic mind to good use. The world of modern bowls is bringing in big bucks these days. To the tune of $100,000. Bongs are growing in popularity among the new wave of higher-class cannabis users. While you can't start off making $100,000 out the gate, it's something to strive for definitely. The demand for blown glass has grown so much that festivals dedicated to artistic marijuana paraphernalia have been popping up across the nation. Nowadays, becoming a glass blower can be a ticket to travel! If you are toying with the idea of glass blowing, look to see if there are any classes in your area. 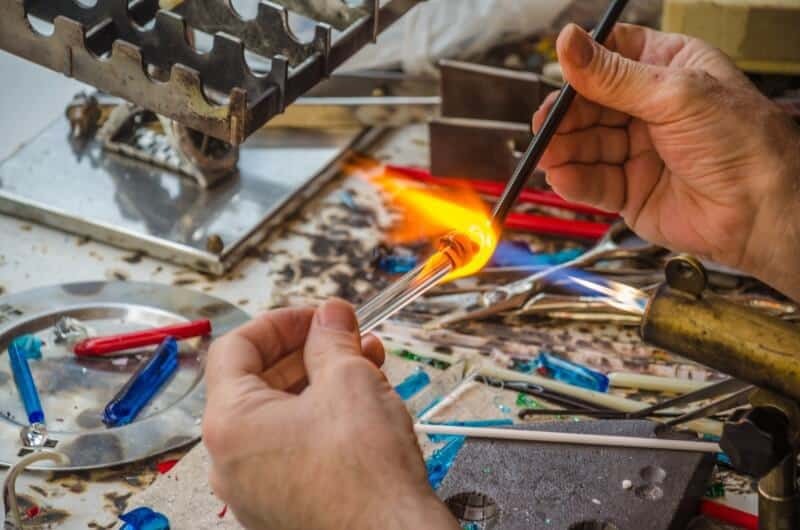 Many colleges and local art studios offer one-off seminars or short curriculums to help get those who are interested in glass blowing started. Like any burgeoning business, marketing comes with the territory. Seeing as cannabis is the fastest growing industry in America right now, becoming a marketing agent for cannabis seems like guaranteed dollars. Now, marketing covers a lot of grounds. You can find yourself doing many tasks including cold-calling clients, surveying the community, content writing for websites, social media marketing or getting people to invest in a business. For some, cannabis helps them get entwined with their inner thoughts. Why not put pen to paper are record those ideas? After all, you think Seth Rogen didn’t toke up while he worked on Pineapple Express? Maybe you don’t have the next Gone with the Wind inside of you, but there are plenty of other job writing opportunities. Ask Hunter S. Thompson if cannabis worked for him! 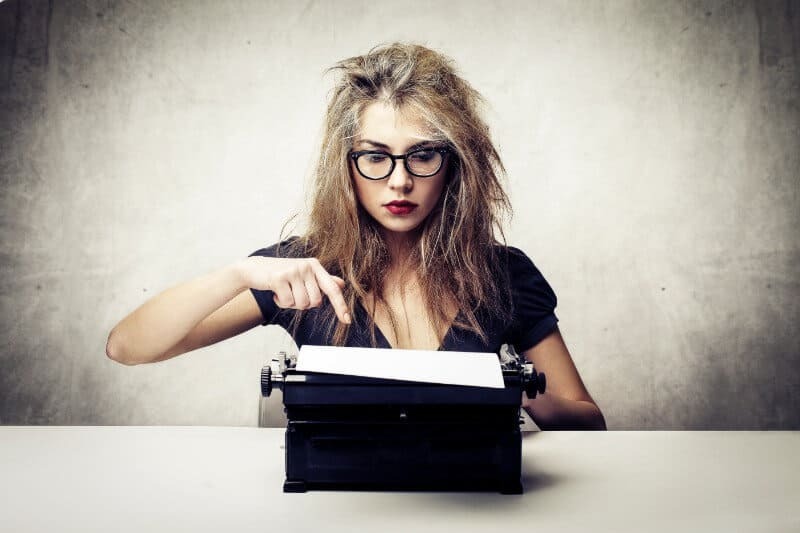 Try your hand at writing a book, submitting articles to magazines or op/eds for newspapers. If nothing else is coming to you, start a cannabis blog. Do your research and link to credible sources and post your works on social media. From there, you can organically grow your business, much like the pot you enjoy smoking. If you want a job that makes you appreciate cannabis even more than you already do, then start growing it yourself. While this sounds like an ideal job for any cannabis enthusiast, growing marijuana is a science. Different strains require their own watering methods, exposure to light, and specific nutrients. On top of having the scientific aspects of cultivating cannabis down, you must understand the law as well. Each state has their own rules and regulations that growers must adhere to. Additionally, marijuana is still illegal on a federal level and classified as a schedule 1 controlled substance. 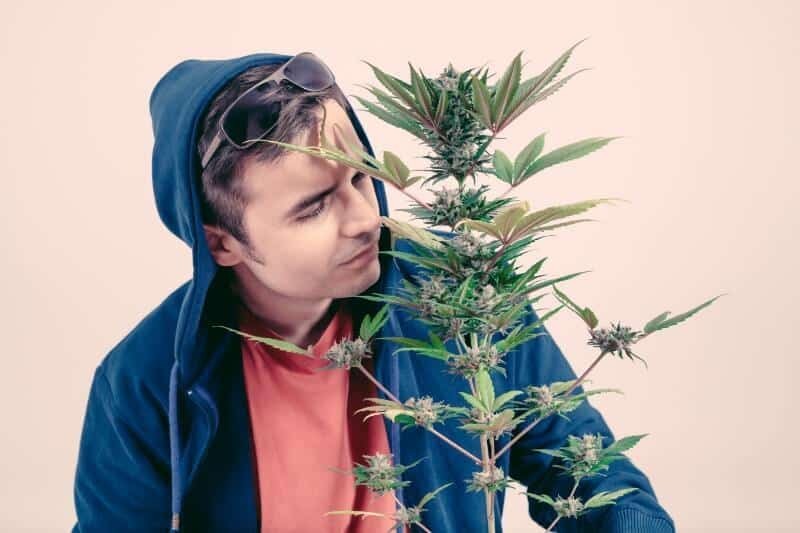 While there is a lot required of marijuana growers, don’t let this discourage you from jumping onto the bandwagon of this blossoming career field. Many schools are offering curriculums to accommodate the ins and outs of this growing profession from a scientific level all the way to the legalities. We’ve always known that the web was the future for all business transactions. With marijuana being the future of the medical industry, becoming a web developer for a cannabis business is a no-brainer. In fact, some crafty businesses are already jumping on this bandwagon. For instance, companies have started to build cannabis delivery apps and websites for places where marijuana is legal recreationally, but no rec shops have been opened yet. The way this works is a customer will order something from a store. 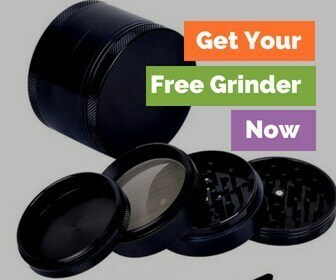 As a “gift, the company will give you marijuana as a thank you for buying a random soda or notepad from them. Of course, the price of the cannabis is figured into whatever you pay. These sort of groundbreaking initiatives further prove the promising future that exists between the internet and cannabusiness. They said not leaving your parents’ basement would never pay off. In today’s DIY culture, be your business. Get high, start up your camera, and capture your inner thoughts. Share your expertise on a subject, say what you’re thinking about the latest headlines, or talk about your favorite cannabis products. Twitch stars barely old enough to drive are making millions each year. Either way, going viral will get you cannabis money! The best jobs for stoners are ones that, once you have them, you won't want to leave. While not all will let you smoke on the job, a lot will. Heck, some will even give you free cannabis to taste test! If you are in a legal state, be sure to ask in your job interviews their policies on cannabis. If they aren't fond of it, it probably won't be a great fit for any of us. And, if you can't find a good stoner-friendly job, then make one! Freelance write or grow cannabis to sell! Do you think you have the most stoner-friendly job? Tell us what it is in the comments section below!